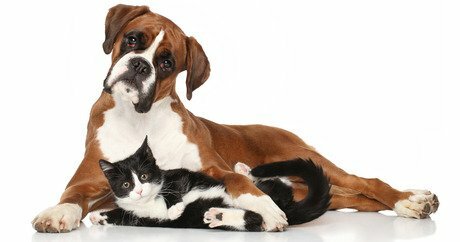 If you would like to help more shelter pets and improve the way your animal shelter or rescue is run, take a look at Academy for Canine (and cat) Education (ACE). This free shelter and rescue course was created by Jeff Grognet, DVM, and Mike Annan, Canine Behaviorist and instructor. Their goal is to animals get adopted. They do this with a free online course geared to animal shelter workers and volunteers. So Grognet and Annan got together to create ACE, their free online workshop for people who care about animals. Their program includes exams and a certificate. They also offer veterinary assistant and pet sitter courses for a fee. This program, however, is free. The courses are geared to fix behavioral issues in cats and dogs. Grognet and Annan believe that the number one reason people relinquish pets is due to behavioral problems. Another workshop that focuses on how to run a successful animal shelter or rescue is taught by leaders at Helen Woodward Animal Center in California. Their Business of Saving Lives Conferenceis an annual event for people who work in and volunteer at animal shelters. Their next Conference should be in February. These workshops teach participants more effective ways to find families for orphaned pets. This is one of the main reasons why animal shelter workers from worldwide locales have traveled to Helen Woodward Animal Center. Read more about the Business of Saving Lives Conference.